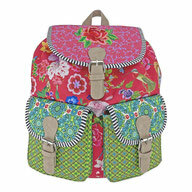 Our collections - De website van taztrade! 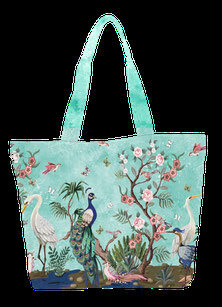 Click on the pictures below to see the complete collection of bags (per brand). A warm and colorful collection of bags, wallets, purses, pouches, cosmeticbags. Also matching plaids and cushions. Different color printed fabrics combined with special details. Available in many different color combinations. These collections gives you 'a spark of Happiness'. A great collection of leisure- and citybags made out of canvas and jacquard. 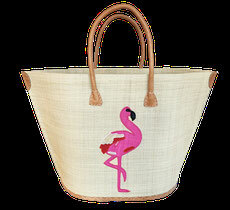 The beachbags, shoppers and weekenders have cheerful prints, some are finished with embroidery, beads or sequins. A new winter collection of cool and tough bags. Different colors of two-tones backpacks and weekenders made of heavy canvas with details of PU-leather. These bags makes you want to travel immediately! Raffia & Hangara baskets: different sizes of baskets made of the leaves of palmtrees. Bozaka baskets: baskets made of straw. These baskets are used for shopping, beach or as an interior/storage bag.